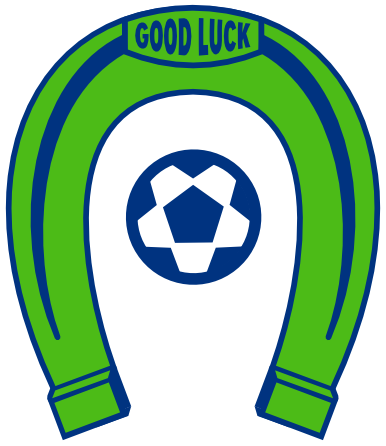 OLYMPIA, Wash. – A new era of Olympia soccer drops on Sunday when the Oly Town Artesians make their debut in the statewide Evergreen Premier League against Yakima United at South Sound Stadium. 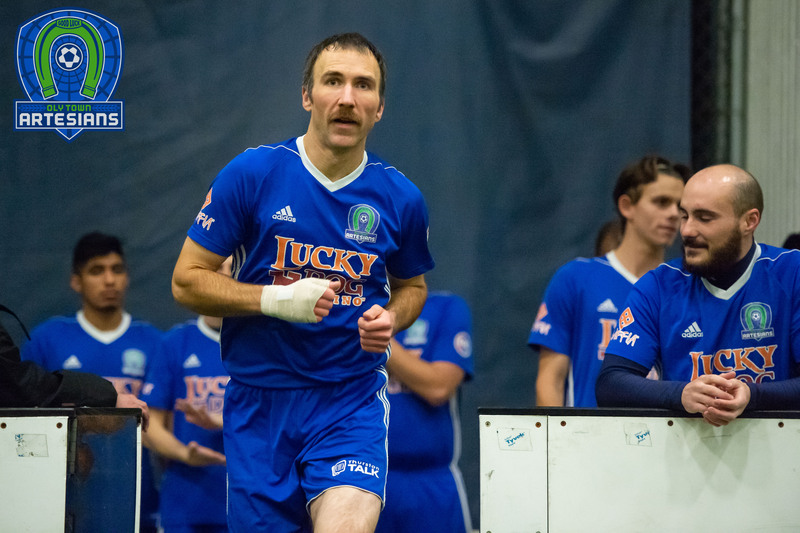 The game marks the first outdoor league game for the three year old club, who have competed indoors for the past three seasons, and marks the return of an Olympia based semi-professional soccer team for the first time since the mid 1980’s. Artesians head coach Ray Finn, who is an assistant coach at The Evergreen State College under John Purtteman and is the Operations Coordinator at the Costantino Recreation Center at Evergreen during the day, has put together a nice mix of experience and youth on the field for the Artesians debut. Fans will recognize indoor club veterans like Brett Stallworth (Tacoma/Elmhurst College), Tom Kemennu (White Lake, MI/Evergreen), and local products Nate Boatright (Capital HS/Evergreen) and Gabriele Zaccagnini (Capital HS/Western Washington). Kyle Wiese (Battle Ground/Evergreen) and Matt Herrera (North Thurston HS/Evergreen) will serve as captains for Coach Finn. Saint Martin’s alum and Minnesota native JJ Olson will make the start at goalkeeper. Olson is in his second year with the Artesians. He spent the 2015-2016 indoor season as a backup, making one start, before taking over the starting duties and locking down the position during the 2016-2017 season. 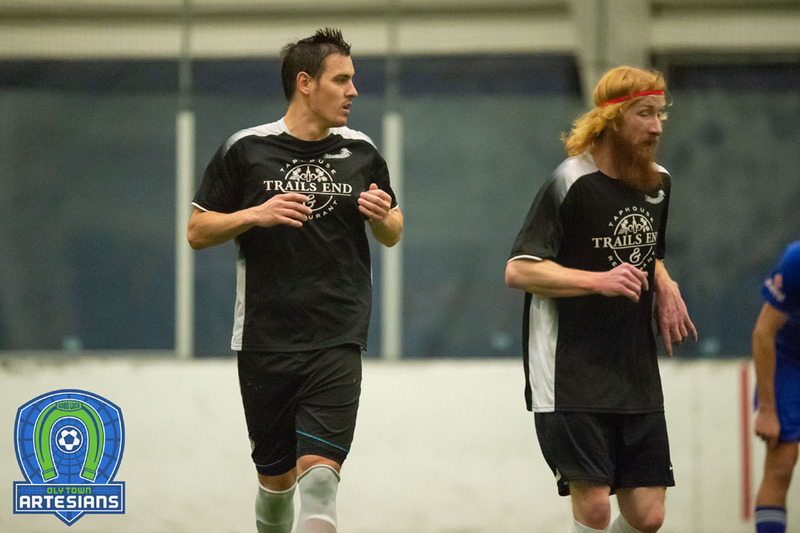 Two NWAC champions return to the club after taking the indoor season off after an extended run with the Tacoma CC Titans. Connor Desmond (Olympia HS) and Tanner Allison (Lakes HS) have both committed to continue their collegiate careers signing with NCAA Division II schools Westminster College and Sonoma State respectively. Club newcomers include Gabriele’s brother Daniele Zaccagnini (Capital HS/Pacific Lutheran), his college teammate Surf Wodajo (Addis Ababa/Pacific Lutheran), and Jordan Zimmerman (Capital HS/Evergreen). Yakima United is a charter member of the EPLWA with their best finish coming in their inaugural season when they posted 16 points to finish fifth. Last season, the Hoppers went 4-8-2 for 14 points to finish seventh. But with Wenatchee FC folding in the off season, United will see an influx of Central Washington players, including Adrian Espinoza, who scored twice in their preseason win last week. 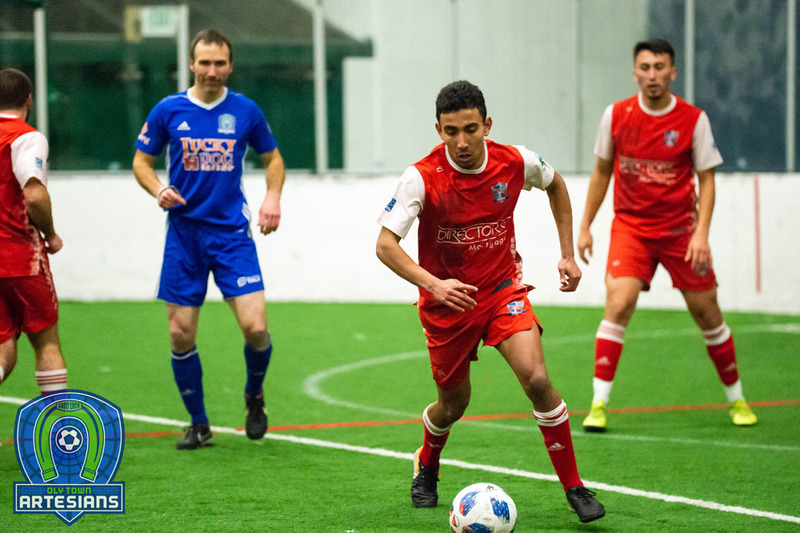 The Evergreen Premier League – considered on the fourth tier of the United States soccer pyramid – enters the league’s fourth season with the Artesians as their first new club since their inception. Wenatchee dropped out of the league opening the door for Olympia to join. The Spokane Shadow won the first two league championships in 2014 and 2015 before the Vancouver Victory took the top spot last season. The league plays a single table format and the team that finishes on the top of the table takes the title. First kick at South Sound Stadium at North Thurston High School is set for 2:00 PM with gates opening at 1:15 PM. Tickets are available at the gate and are $8 for adults, $5 for kids 5-12 years-old, with kids under five free and kids wearing their youth league jerseys also get free admission. 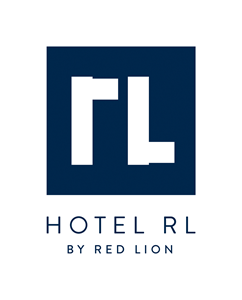 To save time, fans can also purchase tickets online by visiting www.olytownfc.com/eplwa-outdoor/2017-schedule/.